Group photo from day two of the VIP Box Tour, that included stuntman, Steve O from the show Jackass, actors Terry Crews (Brooklyn 9-1-1/Everybody Hates Chris), Judd Lormand (Seal Team) and Jimmy O Yang (Crazy Rich Asians). 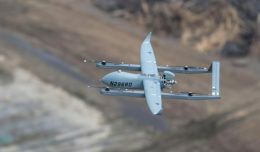 There were also a group of leaders from Caesar’s Palace in Las Vegas who flew in on the Black Hawk from Sin City. 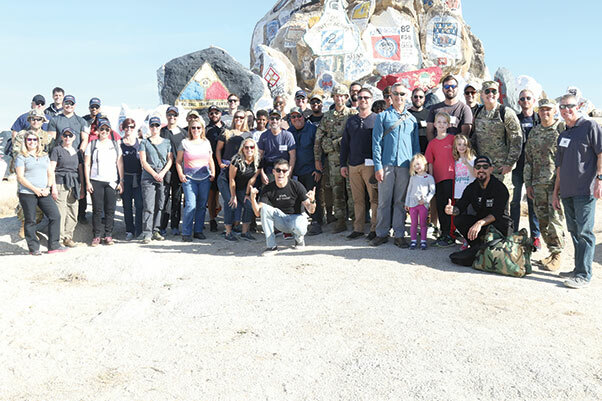 A host of celebrities, filmmakers, corporate executives and business leaders joined soldiers at Fort Irwin’s VIP Box Tour as apart of an Immersive Experience event. The Box Tour brings in about three dozen VIP guests with three, main goals: Connecting soldiers with companies/businesses/executives/leaders who can assist them (and their spouses) with jobs and transitioning into the civilian workforce; Introducing Hollywood and others into the rigorous, real-life training and lifestyle of a soldier and their families; and to help ensure soldiers and their families are properly portrayed on the big and little screen now that they have better knowledge of what they do. VIP guests were also able to ask questions of the military officials and military spouses. Some of the guests over the weekend of Oct. 26 and 27 included leaders from Caesar’s Palace and MGM in Las Vegas, NV, four cast members from the Mayans M.C. TV show, stuntman, Steve O from the show Jackass, actors Terry Crews (Brooklyn 9-1-1/Everybody Hates Chris), Kristen Renton (Sons of Anarchy), Donna D’errico (original Baywatch cast), Judd Lormand (Seal Team), Jimmy O Yang (Crazy Rich Asians) Richie Stephens (MacGyver); Bonnie Laflin (First female NBA scout and Basketball Wives cast member), fitness model/author, Dana Isaiah Thomas (Jordin Sparks’ husband), Brigadier General Belinda Pinckney, and Christina Pascucci of KTLA news will be airing a story on the event in November. 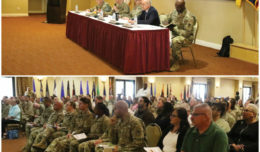 The Box is a training area at Fort Irwin that covers 1,200 square miles (the size of Rhode Island) and replicates two dozen urban towns with demonstrations to assist soldiers and leaders with preparing for combat. Look out for a full story in our next edition of the High Desert Warrior.